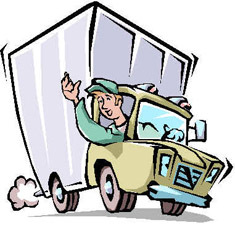 PLEASE TAKE NOTE OF ADDITIONAL SHIPPING CHARGES FOR OVERSEAS ORDERS AT BOTTOM OF PAGE. Browse the books below; there's a book here for everyone. Each book is a learning experience in itself. In traditional Mary Anne style, each pattern or technique takes you one step farther in your knowledge of machine knitting. 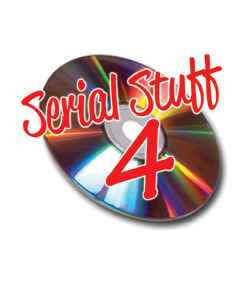 With these books you'll hear Mary Anne as she patiently, explains her techniques to you. 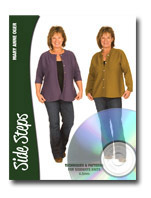 You'll follow her as she shows you step-by-step how to do a particular edge or trim. 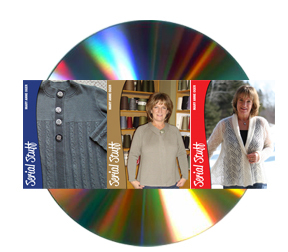 You'll quickly see why Mary Anne is such a great teacher and a leader in machine knitting. Swing jacket, high-hip length, v-neck, knit in lace fabric with lace carriage. Sleeve and yoke are sideways knit, with the purl side used as right side while the body is knit side outside. The wide back is softly gathered into the back yoke with reverse seaming for added detail. The front body is wider at hem and shaped at side to create the swing. FNR band, knit vertical, frames front edges. Large button is stitched over actual closure of sewn-on snap, eliminating the need for a buttonhole. 5 sizes, 36-49 in finished bust. Accompanying techniques article includes shortrowing for lace carriage, Brother and Silver Reed specifics, special cast-on using ribber comb, and seaming methods. 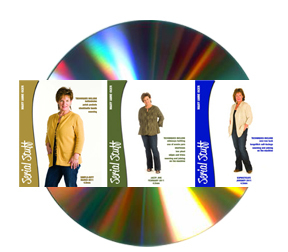 (long version) Natural Silk, Hip length; (short version) Wool Crepe Deluxe, Waist length, 5 sizes for each. Cardigan with handkerchief hem, full length fitted sleeve, one-row-tuck fabric. Back and fronts are rectangles, sewn together, with slit opening for sleeve. Top of the rectangle of the front becomes centre front edge. Longstitch is used for self-facing technique for fronts. Collar of garter stitch on back piece is optional. NOTES for Rectangles, include Choosing the Size to Knit, One Row Tuck, Machine Settings, Circular hem, Waste Yarn Cast-On on double bed, Full Needle Rib Hem with Racked Cast-On, Using ribber for single bed knitting, Longstitch facing, Tension/Stitch Size. Hip length, saddle shoulder, zip front hoodie cardigan, long sleeve. Yarn is Wool Crepe Deluxe. 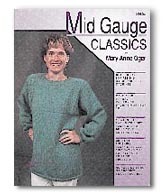 Round neck and yoke/sleeve tops are stabilized with a narrow tubular band. Optional hood. Hem and cuffs are deep, stockinette bands. Separating zipper is hand-stitched to inside of narrow, stockinette front bands. 3 sizes. A-line cardigan with full-fashioned details in the raglan shaping. Garment features opposing facings on fronts; shortrowed hemline; unique collar of reverse stockinette ridges; 5 sizes from 36 - 49 in, two versions. The accompanying Notes features garter bar techniques, raglan and full fashioned decreases, drawing schematic for charting device. Open front cardigan of lace with lace carriage, vertical shawl collar, exaggerated A-line creates hanging points at sides /hip. 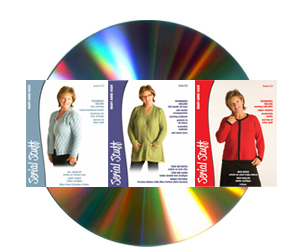 5 sizes from 36 to 49 in.Long set-in sleeve. Brother and SilverReed stitch patterns given. Notes article includes cast-on fro waste yarn with ribber comb on single bed; using yarn marks effectively; lace carriage for both Brother and Silver Reed; partial knitting/shortrows with lace knitting and manual tuck for edging. Button front cardigan, 3/4 set in sleeve. Combination of braided cables, a variety of double bed work, stockinette and contrast textures - this project should present a challenge for the accomplished knitter but some easier 'cheats' are given to simplify - your choice. Notes include braided cable on double bed; racked cast-on; a great neckline finish and more! Check MAO's blog of Jan-Feb-Mar 2012 for more pictures and details. 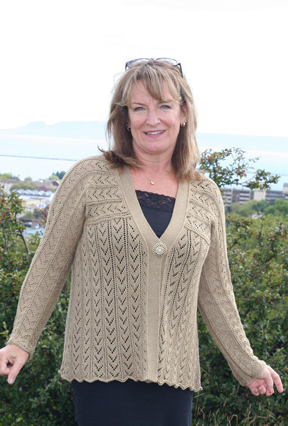 A hip length, A-line raglan cardigan with long sleeve. Shortrowing at hemline adds length to centre to balance side seam decreases. Round neck, cuffs, hem and front bands are stockinette hems in contrast colour. Yarn is Silk City Fibers Wool Crepe Deluxe. Techniques article includes full fashioned decrease methods and decorative decreases, starting and finishing details and more. Double bed tuck rib stitch for dramatic texture. A-line, mid thigh length; vee neck; long, set-in sleeve; deep FNR bands; inside bag pockets; button band knit circular with vertical buttonholes. Yarn is Yeoman Yarns Panama. 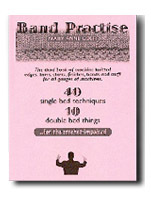 Bonus pattern for girls, sized 4 (6, 8, 10) years, "Practise Makes Little Miss Perfect". Techniques article includes full needle rib hems, odd needle arrangements, seaming methods, pockets in rib fabric, assembly methods and much more. The design is Lacey Blue. A button front, close-fitting cardigan with vee neck and long, set-in sleeves. Crisp, mercerised cotton to show off the detail of the fashion lace transfers. Flat, shaped collar frame neckline. Hand transferred lace border with automatic picot edging aqll around. Silver Reed and Brother stitch patterns included. Techniques article includes lace carriage stuff for ech brand, hand transferred lace border, short rows for lace carriage and more. Check MAO's blog ó Aug-Sept-Oct 2011 for more details. Slightly fitted cardigan with round neckline; 3/4 set-in sleeve; curved edge patch pocket on front; deep stockinette hems on cuff and bottom, narrower band for neck and front edges. High-hip length, cardi top, knit sideways. Featuring shortrowed gores to add width and swing at hip; 3/4 length sleeves with optional box pleats; chained edge front band and collar; clasp front closures. Read article for more tips and techniques before beginning to knit! High-hip length, open-front cardigan, 3/4 set-in sleeves. Single bed one-row-tuck makes subtle patterning in a fabulous lightweight yarn, but knitting it on the double bed allows the extended centre fronts to have an edge finished automatically with longstitch, which are then attached on the machine with a stockinette tubed edge for a very professional look. Check MAO's blog ó Jan-Feb-Mar 2011 for more details. Slightly fitted, high-hip length cardigan with fitted, set-in sleeve. Hand transferred two-step lace for the overall fabric. Narrow, easy picot hem and lace border the bottom, cuff and front of hood with the picot bands trimming front edges. Round neckline is finished with picot hem or optional one piece hood. Slight A-line shaped cardigan, raglan sleeve, high v-neck, with collar. Cable and tuck rib combination form a slightly scalloped edging to make cuffs, hems and collar. Neckline of collar and hemline are shortrowed to add depth in centre for better fit. Stockinette bands finish front opening and a slip cord edging make button loops on right side. All finished and assembled on the machine. 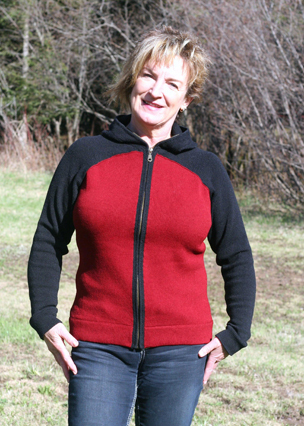 Low hip length jacket, knit sideways with zippered front closure. The boy is knit in one piece, from centre front, around back to centre front in stockinette. Gores are added in body to add extra width at hip for A-line shape. Sleeves are knit down and seamed on the top along with shoulder line. Ruffle at hemline and around hood can be substituted with slip cord for a no-frills approach. Check MAO's blog of Jan-Feb-Mar 2011 for more pictures and details. neck shaping at font neck. The beginner version (gold) has shortrowed gores to add width from underbust to hem, adding an A-line shape for extra width at hip. The intermediate (purple) version is a bit more involved and adds waist shaping as well as the flare for the hip for a curvier fit. Stockinette bands are edged with chained lines to add nice detail and slip cord knit on finishes bottom and makes easy button loops. Both patterns are sized from 38 to 57 inch finished bust. Lots of detail and techniques! PRINT OUT OR VIEW ON SCREEN. 6 articles and 11 garments of Ribber Techniques, previously published in KNITWORDS magazine - 36 pages. If you missed out on the magazine and want double bed information, this is for you. Up a Notch, No 31; The Pseudo Arans from No 14; Ribber Rules 1 to 5 and the garments that went with from No 39 to No 45. Topics include needle arrangements, bands to go with; increasing and decreasing; longstitch facings and one-row-tucks; English Rib and raglans; wide ribs and shortrows; tuck stitch creating aran-looks automatically; the nicest full needle rib notched collar! PRINT OUT OR VIEW ON SCREEN. Purchase 3 books from the Rainbow Collection for $75.00 and receive a fourth book free! Email MAO after purchase made with your selection of books. The third book of trims, edges, starts, finishes, bands and stuff for all gauges of knitting machines. 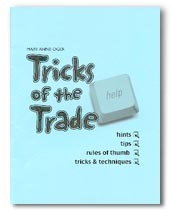 Written in workbook style, with excellent, close-up photos and detailed instructions. 40 single bed techniques and 10 double bed things, great trims to use in place of crocheted edges. Some have appeared in past issues of KNITWORDS, but many are brand new, all different from '50 Ways to Love Your Knitter' and from 'Knitting on the EDGE'. Beginner to advanced, 32 pages. tips and techniques that MAO does; step-by -step instructions; for all machine knitters, single and double bed stuff; the settings for the different brands; beginner to advanced. Fusion cover, professional photography, layout, printing and binding. 32 pages. 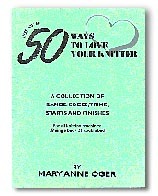 Another great resource book for all machine knitters. 24 buttonhole techniques - you'll find one that works for just about anything you're working on. 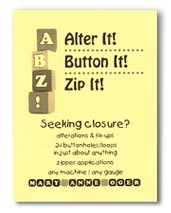 Alterations - what went wrong and how to cure it. Zippers in knits, by hand and sewing machine. 32 pages, black and white; excellent, close-up photos; professional layout, printing and binding. 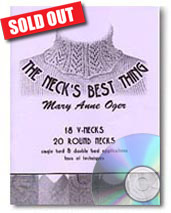 The print version of NECK'S BEST THINGS is SOLD OUT but a complete digital version is available on CD in a fully-printable pdf document. Acrobat Reader required. 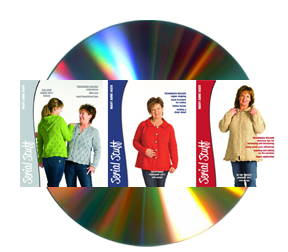 Neckline treatments for round neck and v-neck pull-overs with step-by-step instructions. 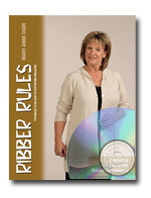 A valuable resource for all machine knitters. Stitch settings for different brands. Beginner to advanced. 32 pages; professional layout, printing and binding; detailed photos. Reprinted by popular demand! 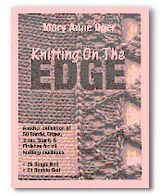 Called 'the Bible' of edges and trims, a must-have for every machine knitter! A collection of bands, edges, trims, starts and finishes for all Japanese machines. 29 single bed and 21 double bed treatments, lots of techniques! This compilation of 26 single bed and 24 double bed bands, edges, trims starts and finishes has been put together in a workbook style presentation just as they were in 50 Ways To Love Your Knitter. The majority of trims in this collection, like its cousin (50 Ways) can be used in virtually any yarn and on any gauge machine. While Mary Anne doesn't claim total originality with all the edges, the majority of them are the result of her own experiments. Many are brand new and several are the result of working with Passap patterns with Knitwords magazine. 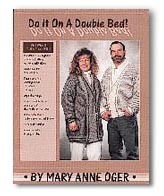 30 hand manipulated stitch patterns and how-to's for manual single bed knitting machines, plus two cardigan patterns. No hand knitting or crochet skills required. Tons of techniques! For LK150, SK160, SK860, KX350, Artisan 70D, Bond. Techniques, tips and 12 patterns for mid gauge flat bed machines. This book is for the new machine knitter as well as the intermediate knitter. It's going to be the book you go back to again and again, to practice a technique, find a trim, and make classic garments with your flat bed machine. With the use of various edges using 'e' wrap, hand transferred lace & cables and simple stockinette bands similar to ready made garments, there is no need to spend hours on latched ribbings or hand knitted ribs if you don't have a ribber. Make your knitting machine work for you.